Just over two years ago as an avid trail rider I decided to take on the ambitious goal of a single-day 100 mile ride. I can’t tell you exactly what possessed me to decide this, but something inspired me and I think I said it out loud at a dinner party before I’d even really thought it through as if it were just a random conversation topic. I suppose the ambitious part comes from the fact that at the time I had a basically feral unbroke 4 year old I planned to do this with. And I’ve never trained a horse before. With over two years of preparation and many blogs of various topics, the 100 seems an elusive ‘loch ness’ or ‘Sasquatch’… my Everest … it’s not something one stumbles upon randomly. It would be planned for months at least… a year maybe once I think we’re ready? Hello! I plan to get through this 3rd season with Khaleesi doing multiple 50 mile rides … maybe try a multi-day (2 days of 50 miles) toward the fall and in 2018 we will climb Everest… we will dive for Nessie… we will enter our first 100!!! Stay tuned this entire year as I work toward the climactic event my entire blog is based on. Ah-hem… um. I just printed out the paperwork for the OD100 on June 10- about a month from now. So… I guess we’re doing it. Want to start the 100 with me at OD this year? I want to take it slow to finish and would love the company. (That sums up my initial reaction) then to look around and say um… who? Me? And Khaleesi? 100? This year? Then there’s the odd cosmic coincidence that I camped at both our 50s for the season next to Dale (who I call Mr. just do it) and he happened to have an OD100 map handy in March: here’s the OD100 map, do you want one… Don’t think so hard about it- just go for it. It’s very do-able. In March I told Amy- ok ok, if she gets clean through No Frills 55 then we’ll talk. Considering she had lameness and hoof issues in late winter a good part of me figured we may not make it through No Frills sound. I truly half expected a lameness pull. It is about the hardest technical rocky ride I’ve ever been on. Then we had about the best ride ever at No Frills and Khaleesi looked the best I’d seen her after any ride. I felt good too. 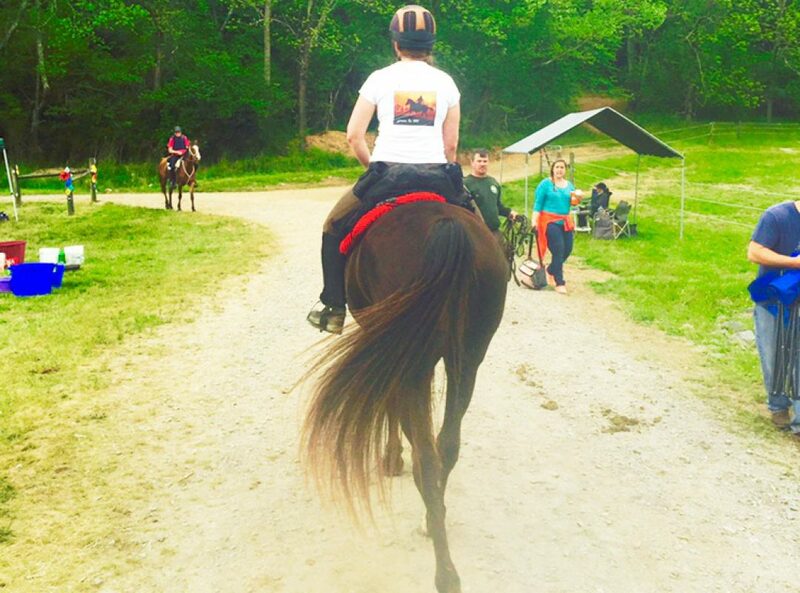 The vets said she looked great (one of them being our vet Kelly who also vets and rides endurance). The mare didn’t even look tired. Hm. Now I have to actually think about this. I try hard to curb that part of my general personality so here is when I look for some outside rational input. I sent a note to my mentor Lynne. She has lots of successful 100s under her saddle and is taking her horse to Tevis this year. She will have good advice. If she laughs at me I’ll know it’s a crazy hair brained idea. Inside my head: We can’t be ready for this…. can we? 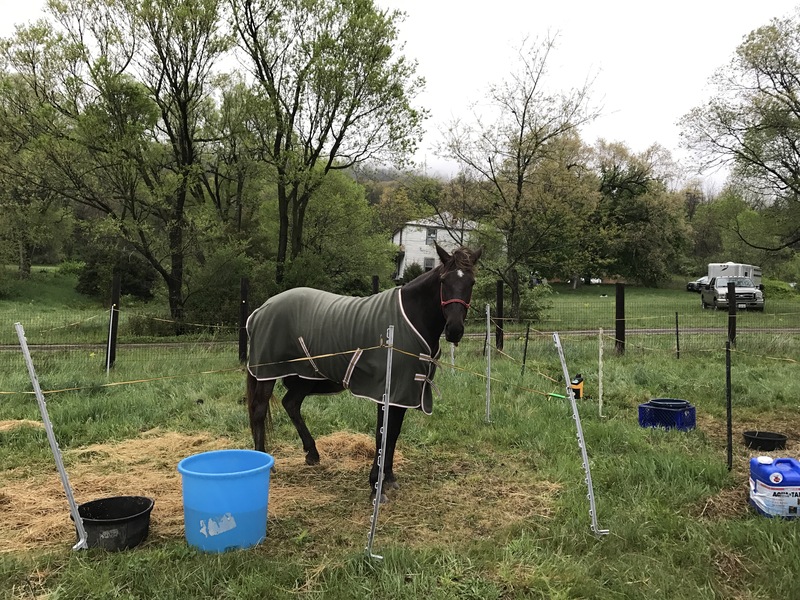 Lynne: Well….. my first reaction was it might be a little soon… However Kelly (my vet and a friend of Lynne) made a point to tell me how good Khaleesi looked at No Frills and what a good job you did taking care of her that day. I think she called your horse a rock star. 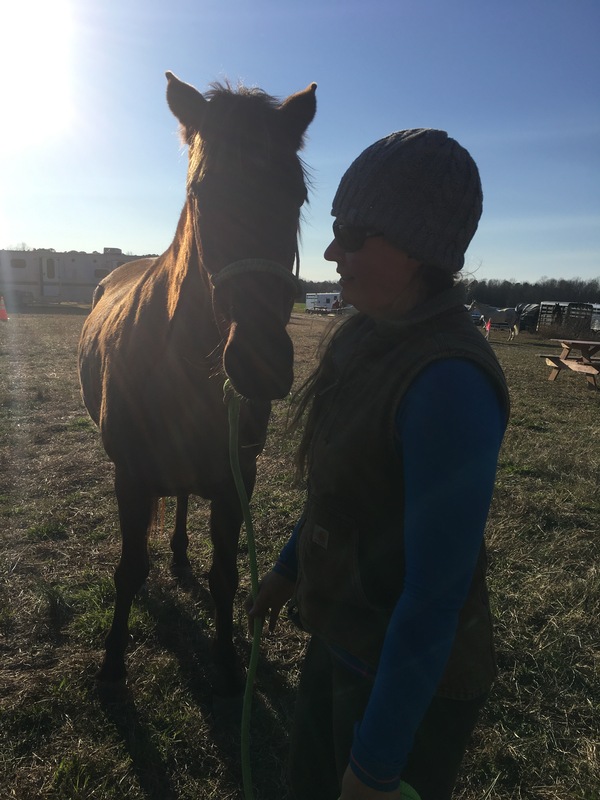 Honestly… I think you should talk to her, she’ll be perfectly honest with you and has seen your horse more this spring than I have… but I can’t think of why you wouldn’t go for it. Even if you made it 70 or 80 miles that’s an accomplishment. I’ve certainly started that ride and been pulled in years past. You guys have a good shot- and you are very in tune with your horse. You aren’t going to hurt her. You will pull out of you feel it’s not going well for her. That’s the most important thing. Ok. I’ll check with Kelly. She also has solid 100 mile experience and she knows my horse. Maybe she’ll laugh at us! If so we’ll just do the 50 and keep working on a good base for next season. Kelly: oh yeah! She is totally ready! Go for it- I think it’s a great idea. Then one more last ditch reach out to another endurance vet that knows us: am I completely nuts to do this? Ok. So. Yes! Yes- we’ll do it! So… the K and I are officially signing up to the Beast of the East… the Old Dominion 100. The goal. Green to 100 and all. I do think we have a shot, however the completion rates are from 45-60% depending on factors (the biggest being heat and humidity) so even the best odds are tough. But make it or not I will learn a lot, and looking forward to the challenge! I guess I should tell K…. Next: Next post: Dragonfly in the sun… you know what I mean.. I look forward to hearing about your adventure. I don’t think I’ll ever do a 100, but I admire those who do. Awesome! If Trace hadn’t gotten hurt and missed his March rides, I was going to go for it with him this year. 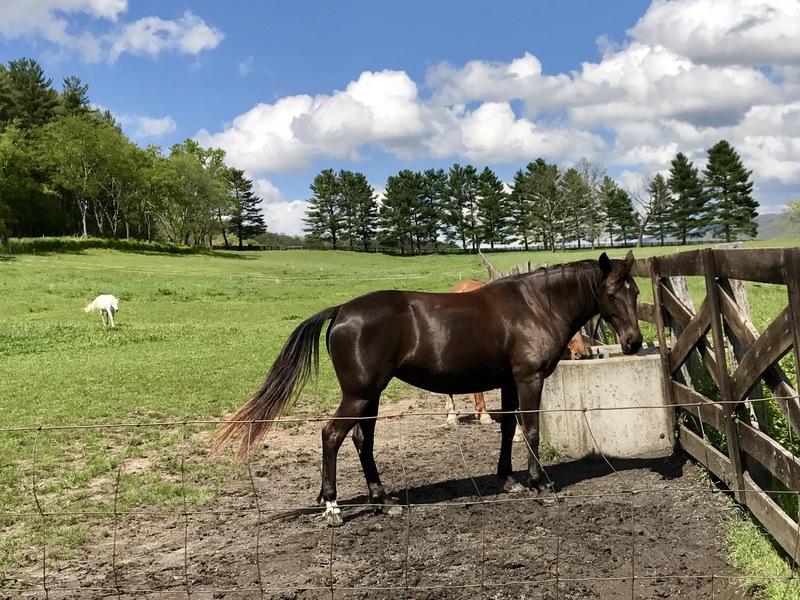 Your Mare is in great shape living in the mountains and such. DON’T over think it and have fun! That is so awesome!! I know we’re not ready yet, but I thrill reading about people’s 100 mile rides!! Good luck and safe ride! So exciting! Sometimes we need the people around us to give us the final push off the diving board!